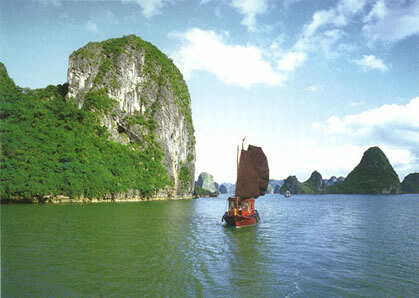 We have spent several days enjoying the streets of Hanoi and are now spending time in Halong Bay. I cannot begin to tell you unbelieveably beautiful it is here. Next we off to the Imperial City (Hue) and from headed to the beaches of Hoi An for some much needed relaxation. The food, the people, the food – we are enjoying Vietnam! Glad to hear you’re having a splendid time up North! ahhhhh! we spent a night on one of those beautiful boats. did you go into that crazy cave?!? Cathy – Thanks! I love Vietnam!!! Lynn- The cave was so incredible, felt like it went on forever! And we visited a fishing village on a bamboo boat which was also an amazing experience! Kristine – I’m having the best time thanks love! I’m so happy that you’re having such a lovely time! Take TONS of pictures!